Homesite of the Hasselblad company. "The Erna and Victor Hasselblad Foundation , established in 1979, is a fully independent, not-for-profit foundation. The main aim of the foundation is to promote research and academic teaching in the natural sciences and photography.The Foundation also presents an annual international award in photography to a photographer recognized for major achievements". 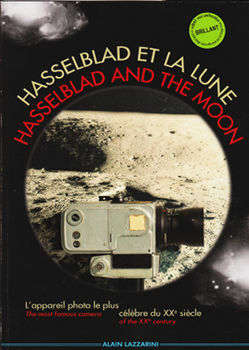 A presentation of the Hasselblad cameras taken onboard Apollo-11. This site is dedicated to Victor Hasselblad and the camera system he created. It offers information about many aspects of the Hasselblad camera system, past and present, including practical tips about using, caring for, and collecting Hasselblad equipment. Documentary work from Hurricane Katrina in New Orleans right after the storm, using the 905 SWC. This work by Aric Mayer has been exhibited in a solo exhibition at Gallery Bienvenu in New Orleans and it resides in many collections. lesvictor [at] wanadoo.fr ( )To get your Hasselblad camera repaired or serviced contact "Les Victor". Very competent and nice people.